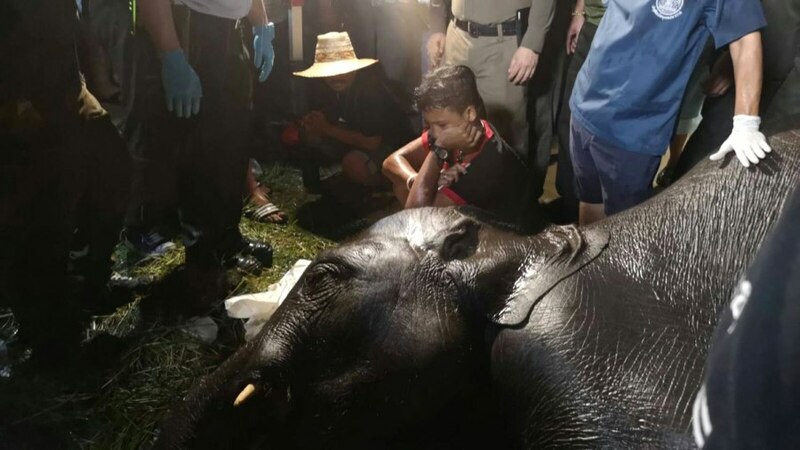 BANGKOK – A young male elephant was electrocuted in Thailand after stumbling into a drain and crashing into a restaurant sign, police said Saturday. Two elephant handlers were walking 10-year-old Plai Nam Choke -- or "Lucky" in English -- around a town in Samut Prakhan province south of Bangkok, offering passers-by the chance to feed him for cash. "I received a call at 8:30 pm that the elephant was stuck in the drain," he said. "He likely died from electrocution." Wild elephants can still be seen in Thailand's national forests, but their numbers have dwindled to about 2,700 from a peak of over 100,000 in 1850.